J S Harry, one of Australia’s leading poets, died on Wednesday 20th May. 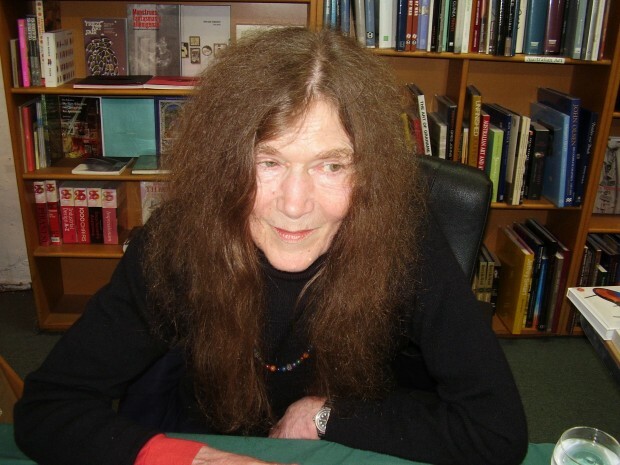 Nicolette Stasko, in a moving tribute on the Southerly website, said “J S Harry, one of Australian poetry’s “great transgressors”, described by Peter Porter in 2007 as “the most arresting poet working in Australia today”, died peacefully in her sleep Wednesday morning 20th May. It followed a long and debilitating illness, which she bore uncomplainingly with the good humour and grace that was so typical of her. Until her final days she continued to respond with wisdom, acuteness and appreciation to visiting family and friends”. This issue of New Poetry was my first real introduction to contemporary Australian poetry and among the poets in this issue, which included Robert Adamason, Phillip Roberts, David Malouf and Geoffrey Lehmann, Harry’s poem stood out to this sixteen year old hungry to learn about poetry and I have followed her work ever since. Her death is a great loss. This entry was posted in Issue 14, J S Harry and tagged Australian poetry, New Poetry, Nicolette Stasko, Peter Porter, Southerly by Mark Roberts. Bookmark the permalink. Thanks for this. I’ve always thought Jann Harry criminally under the poetic radar. A real original, indebted to no school or fashion.